You’ll be forgiven if you’ve never heard of Iberspa or Certikin. The kind of luxury, designer leisure products they offer will only be found in the best showrooms and homes. 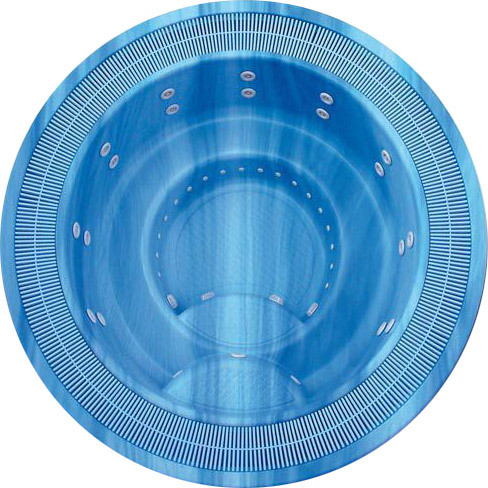 For decades Iberspa have been designing and manufacturing exceptional luxury acrylic spas and hot tubs. These home and commercial overflow and skimmer spas are technologically and aesthetically ambitious and they deliver on all fronts. The attention to detail in both form and function means complete satisfaction is guaranteed. 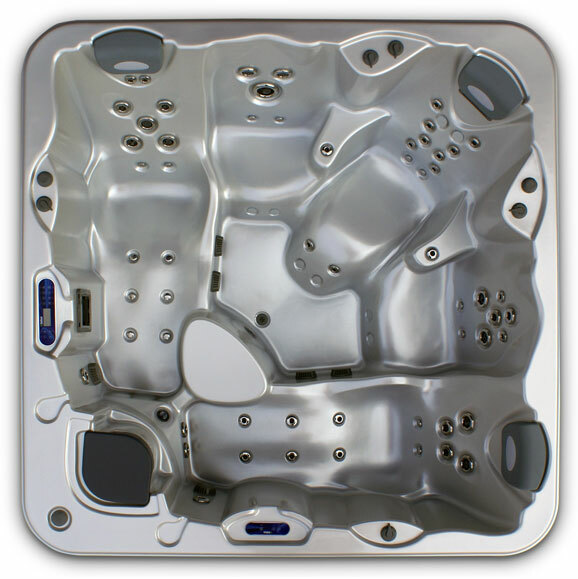 The ergonomically-shaped range of acrylic spas covers all domestic and commercial spa requirements. Experience an oasis of optimum well-being in any of these beautifully designed in-ground spas. With space for up-to 10 people you and your guests will have the experience of a lifetime, time after time. 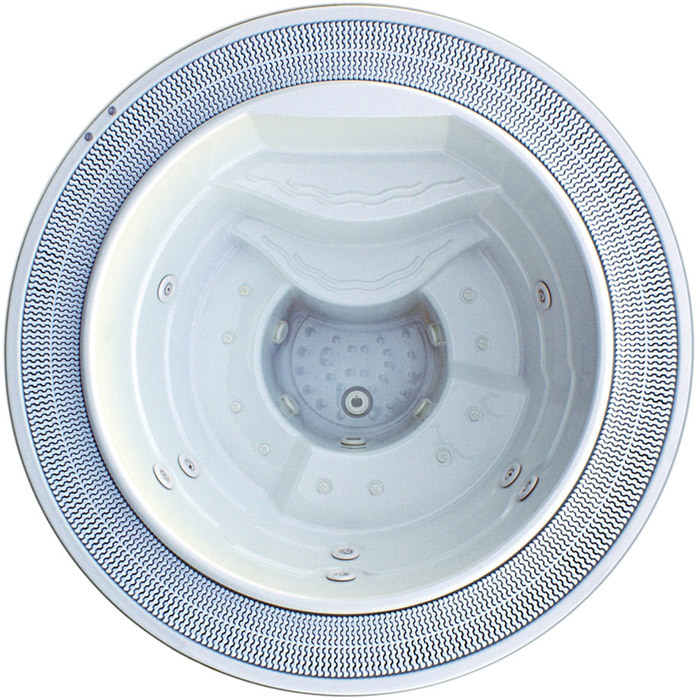 The Iberspa Iber01 is an in-ground, plumbed spa with steel reinforcing. 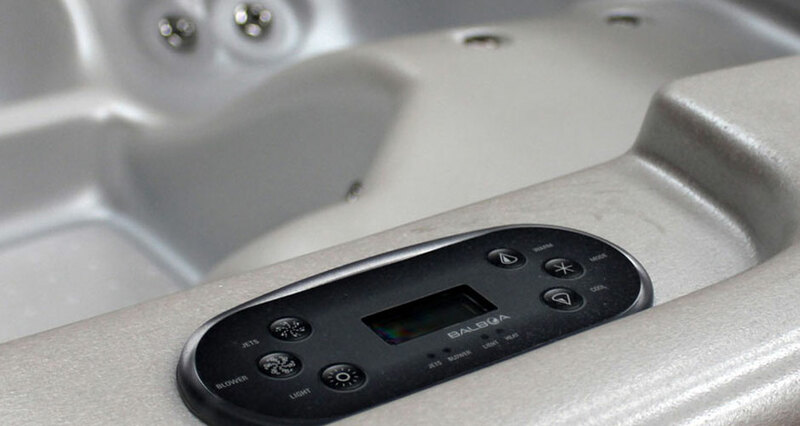 With over 50 water jets it can deliver professional hydrotherapy treatments to multiple users with ease. Primarily designed for home use, it is big and durable enough to be used in commercial settings. With a waterfall function, chromotherapy lighting and adjustable power, the Iber01 offers an unmatched spa experience. Optional extras include bluetooth music system and EcoSpa system. 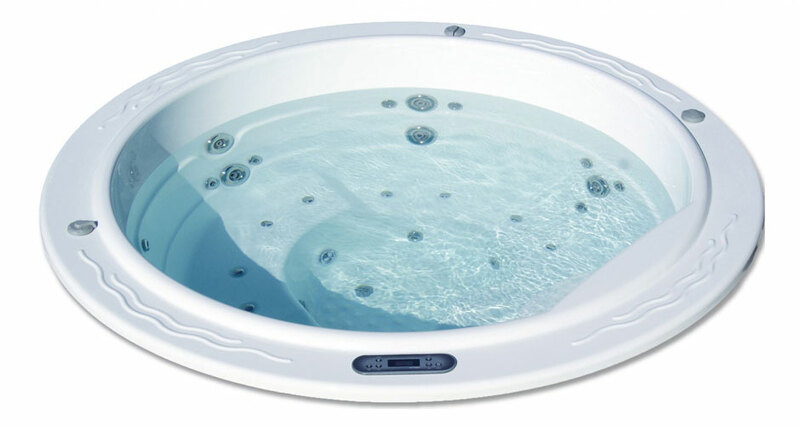 The Iberspa Iber02 is a round acrylic spa that is orientated towards relaxing times with family and friends. 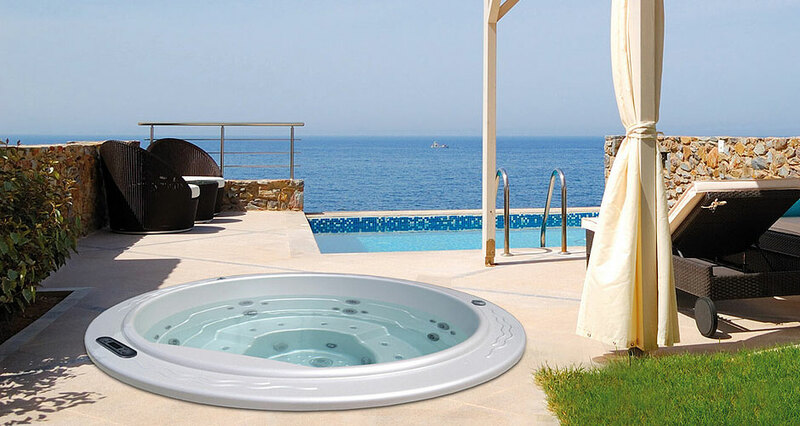 The circular shape provides easy movement around the spa ensuring fun and frivolity can take place with ease. Often installed outdoors, the Iber02 is an in-ground skimmer spa with pumping, massage, heating and filtration installed externally. 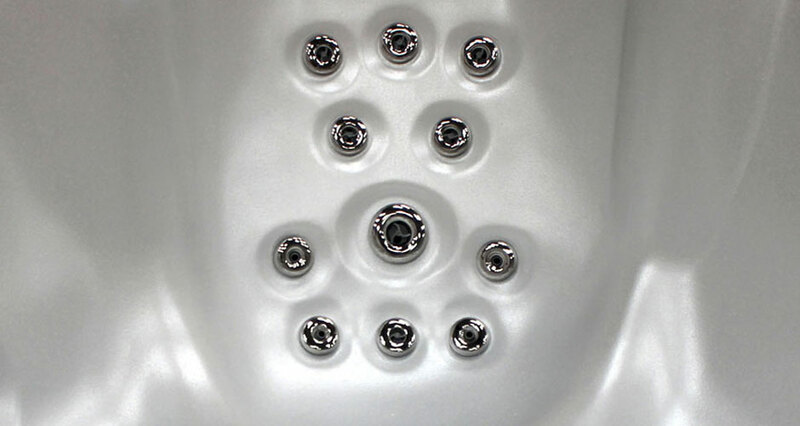 With a 20 water jets plus 10 air nozzles it can deliver a wealth of hydrotherapy treatments. Combined with chromotherapy lighting you have an altogether fun wellness spa for all the family to enjoy. 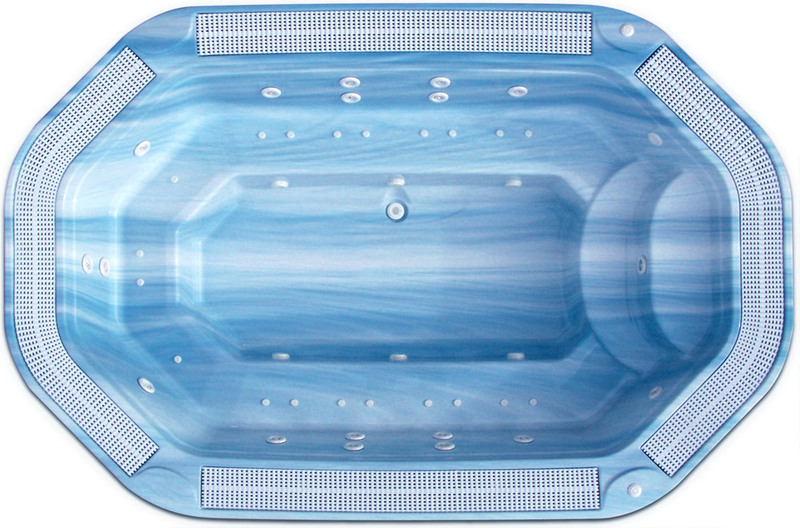 You’ll love the marble style finish on the Iberspa Iber03. 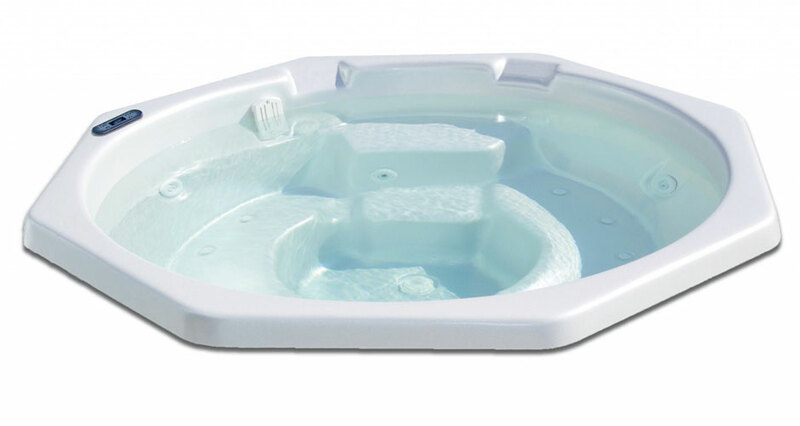 Octagonal in shape, the Iber03 has 8 dedicated water jets providing hydrotherapy points for 4 persons. 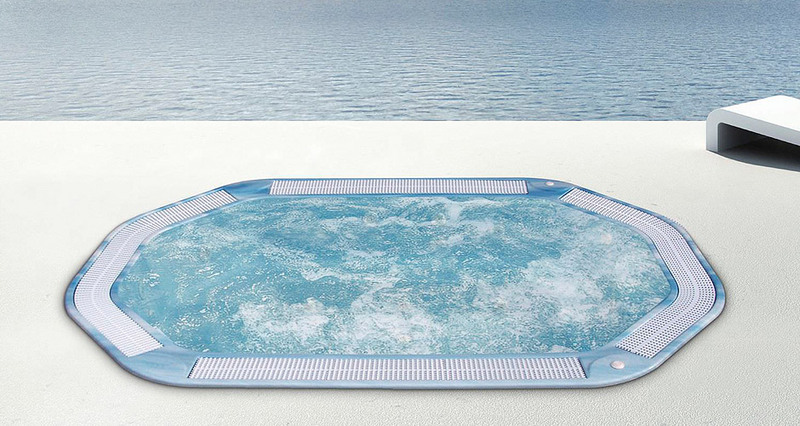 Designed to accommodate up-to 6 persons, this luxury acrylic skimmer spa is designed for in-ground installation. Available in a range of layouts, it has integrated leg kits and pre-plumbed pipework layouts that terminate in a single location. The Iber05 is packed with top-of-the-range features and functions. As a much larger spa it is just as at home in a domestic setting as it is commercially. 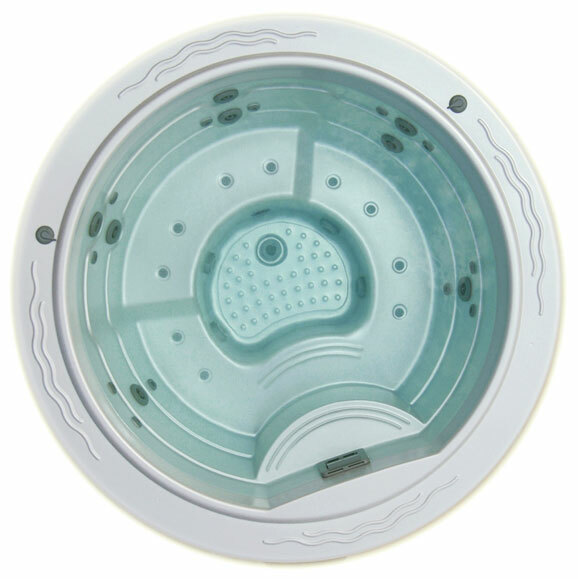 With over 20 water jets and almost as many air nozzles this remarkable acrylic skimmer spa is built for hydrotherapy. As a result, up-to 6 guests can enjoy a range of treatments simultaneously. There is a high-strength galvanized metal structure underpinning the moulded acrylic tub which guarantees a longer lifespan. An optional isothermal cover helps reduce heat loss. With a dedicated lounger and room for 5 people the Iber06 is ideal for both domestic and lite commercial settings. This is one of the shallowest spas we offer. Consequently, it’s perfect for family use. The 28 water jets deliver professional hydrotherapy treatments to each user. As an in-ground spa you will need a dedicated area to sink the tub. A high-strength galvanized metal structure ensures years of support. Commonly referred to as an ‘in-ground spa’ this 2.3m commercial overflow spa from Certikin is an ideal choice for health centres, hotels and general purpose professional use. 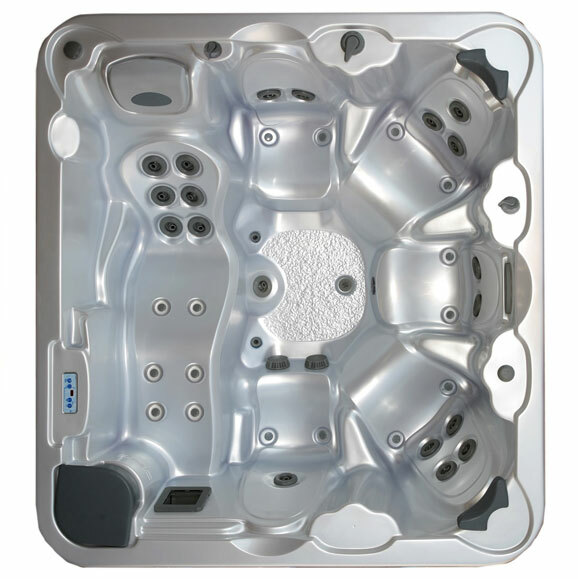 With seating for 5 people and a range of water jets and air nozzles this robust acrylic spa can easily cater for small groups. Installation requires additional space for this filtration, heater and balance tank. As an overflow spa you can expect the water level to line up with the top of the spa. 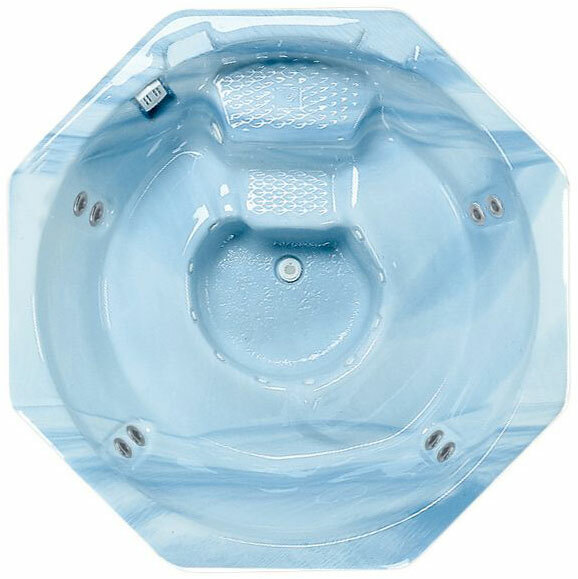 With a seating capacity of 6 and a raft of nozzles and jets this 2.5m circular commercial overflow spa will delight even the most cantankerous of guests. 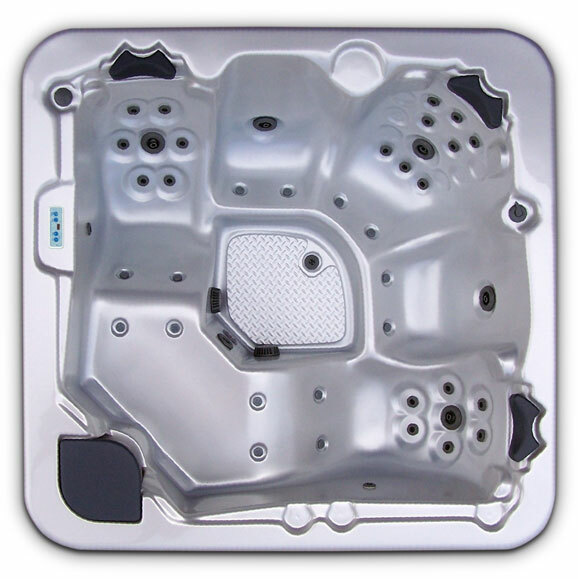 Most notably, the spa shell is manufactured from a specific type of high-quality, durable acrylic. 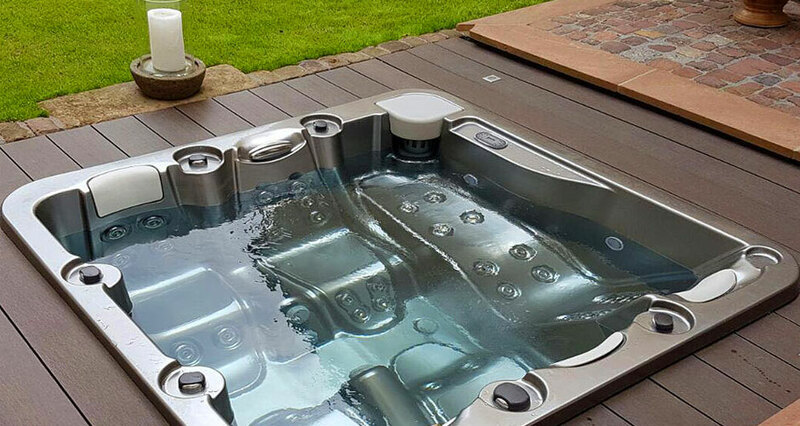 As a result all the Certikin overflow spa range are extremely hard wearing and perfect for any number commercial applications. You’ll need additional space for the balance tank and filtration system which can go in-ground like the shell. 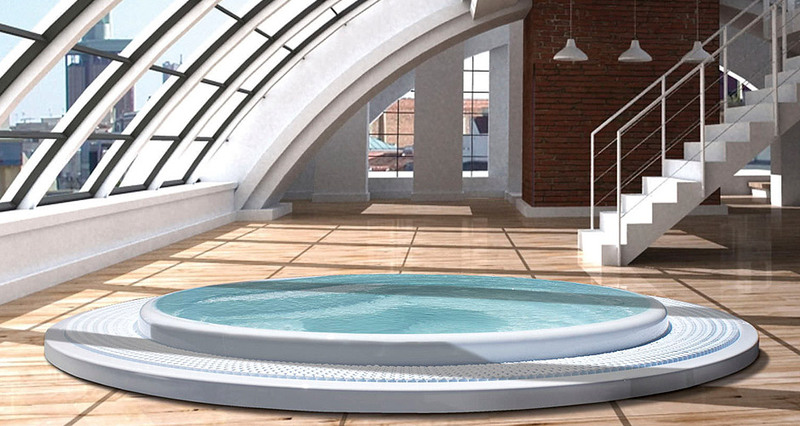 The Certikin 3.0m commercial round overflow spa is the larger version of the 2.5m shown above. Consequently you can expect all the same great features only more so. This time around you’ve got a whopping 18 water jets and the same number of air nozzles. You also get a single white LED light for some night-time ambiance when enjoying your spa. With the ability to seat a party of 9 it’s no wonder this is so popular with commercial spas, hotels and wellness centres. 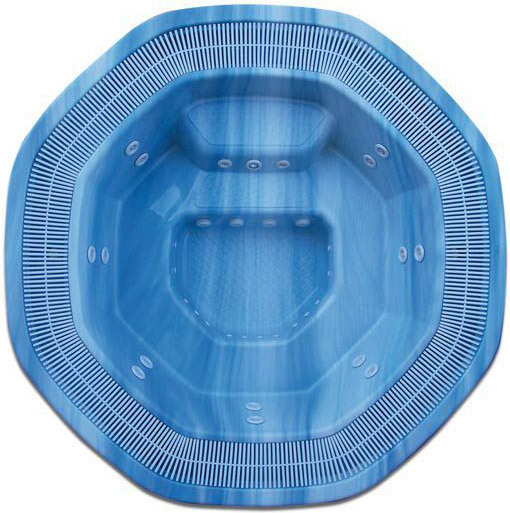 This 2.7m octagonal overflow spa is not just a pretty shape, it also packs in plenty of quality features. Capable of seating a party of 7, you also get enough jets and air nozzles to keep everyone happy. Consequently, it’s perfect for professional use and commercial applications. 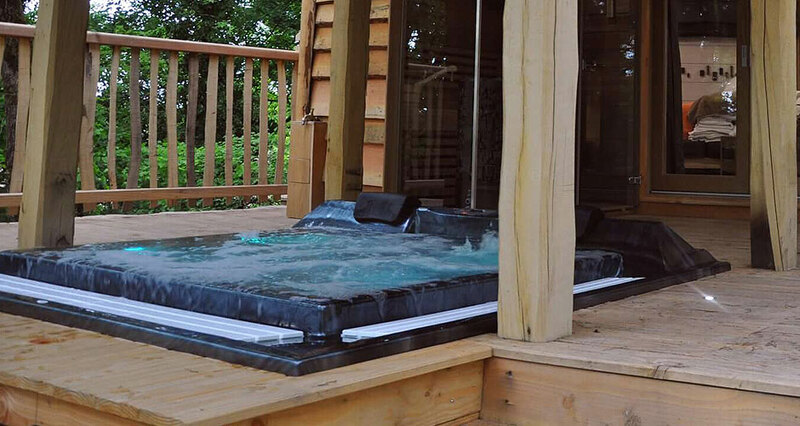 As it’s an overflow spa, for installation you’ll need additional space for the balance tank and filtration system. Both of which can go ‘in-ground’ close to the spa shell. The big daddy of the Certikin heavy commercial spas, the 3.8m stretched overflow spa can seat a whopping 10 guests at any given time. Beneath the highly durable acrylic shell is a galvanized metal frame support with everything going into the ground together. You get a ton of jets and air nozzles placed around the entire spa plus there’s an LED night light for additional ambiance.